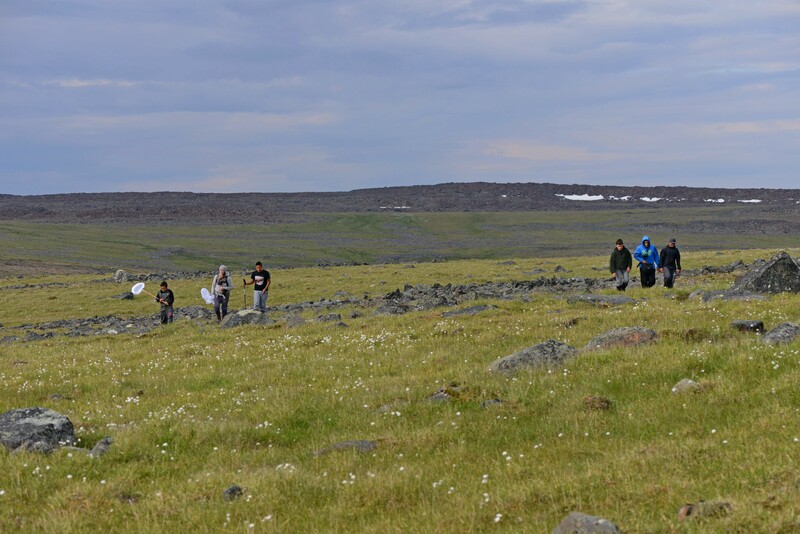 For the second consecutive year, eButterfly’s Max Larrivée teamed up with nine teenage Nunavik Inuits as part of a collaboration between the Montréal Insectarium and Nunavik Parks to survey butterfly diversity in the remote Québec arctic. The group led by Élise Rioux-Paquette, conservation officer for Nunavik Parks, and Elijah Ningiuruvik, Pingaluit National Park director, sampled butterflies inside the park during the first week of August. They focused their attention around Lac Manarsulik near the world renown Pingualuit Crater and along the valleys and canyons surrounding the Pivurnituk River, a unique ecosystem that flows from Ungava bay across to Hudson Bay. Conditions can be extremely harsh in the arctic beyond tree line from the high winds to biting flies, not to mention the extremely variable weather conditions. The team was fortunate to have two days of good butterfly conditions upon their arrival in the Pivurnituk River valley which provided butterfly abundance that dreams are made of. 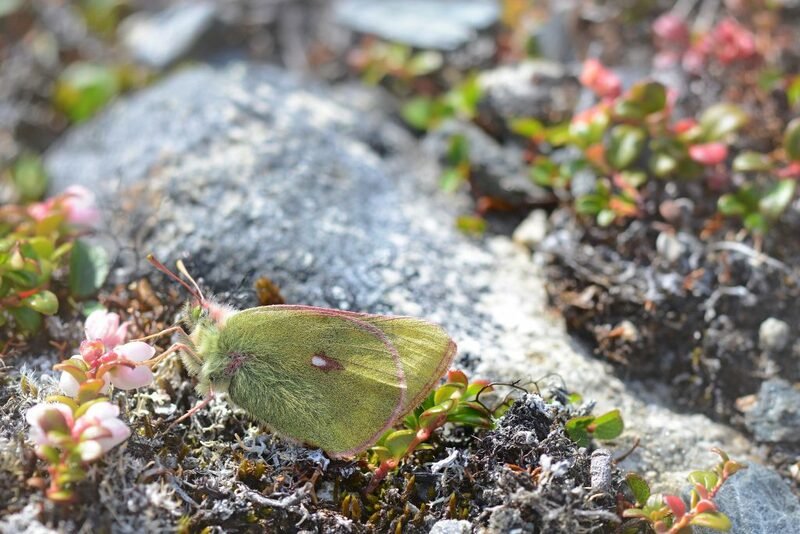 Literally hundreds of Arctics, Lesser Fritillaries, and Sulphurs could be found along the slopes that were sheltered from the wind. 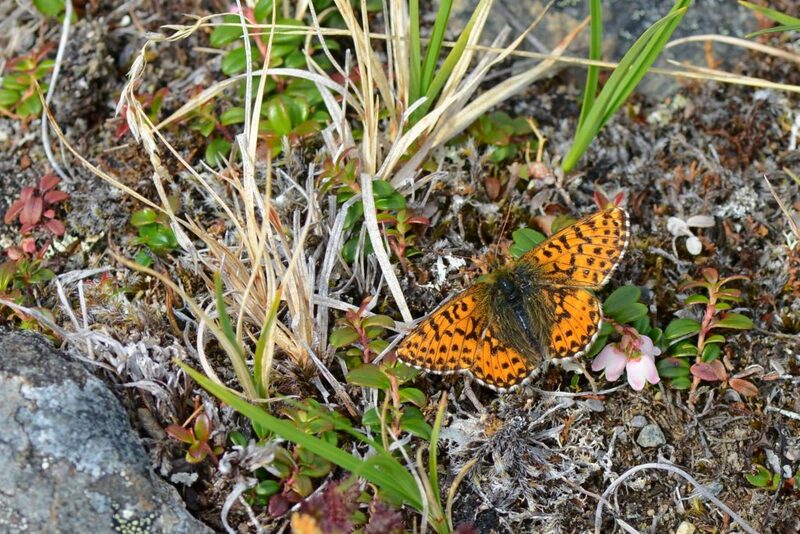 This led to the discovery of extensive Arctic Fritillary (Boloria chariclea arctica) and Freija Fritillary (B. freija tarquinius) populations previously reported just once in Québec with no specimen evidence available. 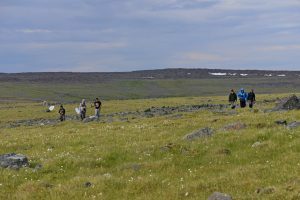 The engagement of local Nunavik teenagers and stakeholders in monitoring arctic biodiversity is vital as they have witnessed extensive and rapid changes in their climate in recent years in par with the growing scientific evidence. Yet, their biodiversity remains basically unknown and understudied for the most part. You can find all the checklist associated to this project in the Explore Data section of e-Butterfly. Simply type Maxim Larrivée in the observer field of the database and a start date of 2016-08-01 and an end date of 2016-08-08.